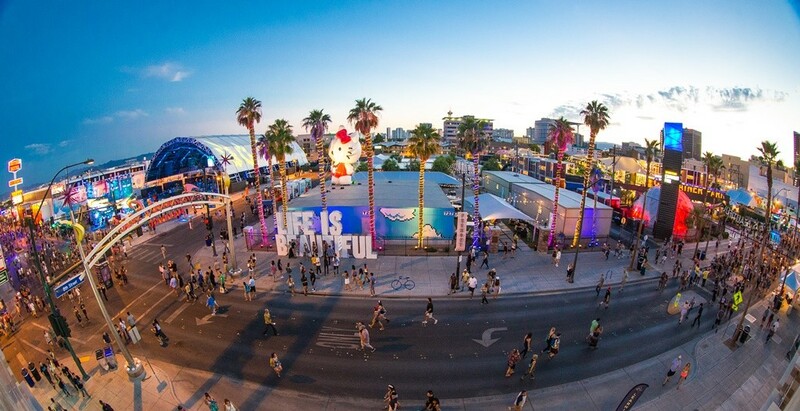 Life Is Beautiful 2015 is now in the past, and it was a truly beautiful showcase of music, art, learning and culinary arts. 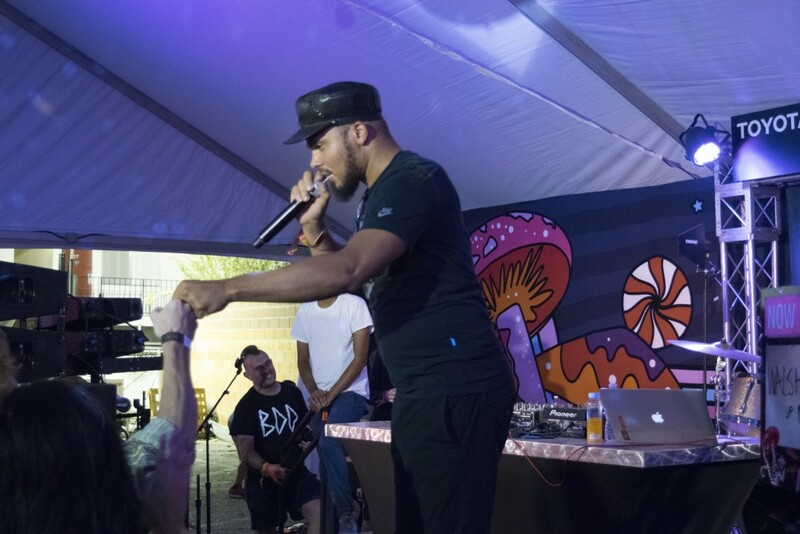 Taking place in Downtown Las Vegas, It featured music from many different genres, street art and pop-up art projects, hundreds of food vendors and food trucks, and learning series speakers and celebrities from all walks of life as well as tons of culinary demonstrations! 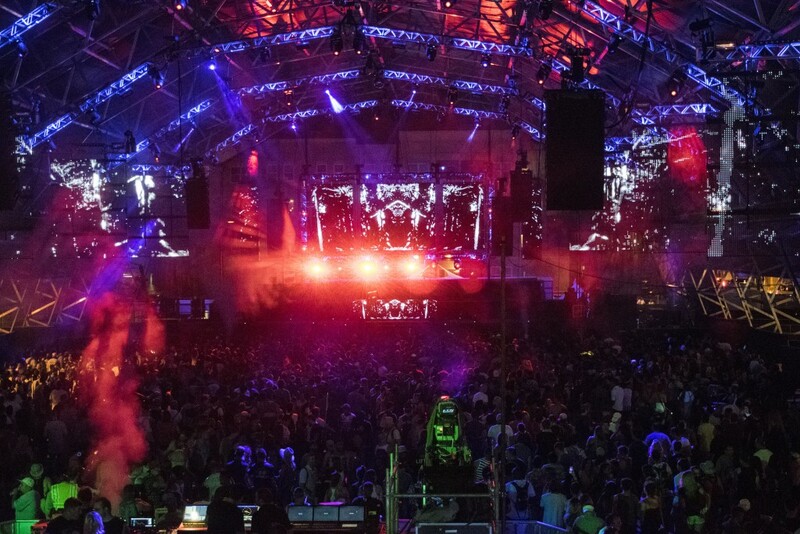 I had the privilege of attending for EDM Assassin and primarily focused on covering the electronic music aspect of the festival, as this was the first year that Insomniac partnered with Life Is Beautiful to bring a curated stage and many well known DJs to the festival. 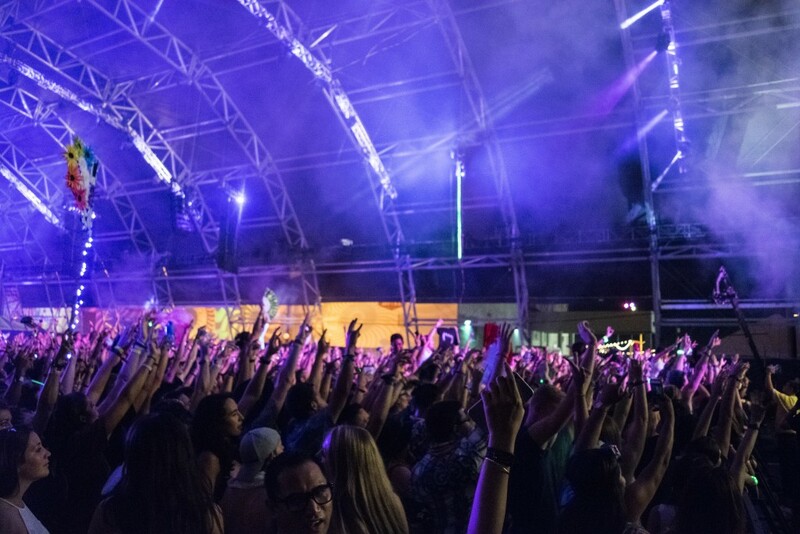 In my opinion, this was a huge success as witnessed by the massive crowds generated from top EDM acts like Major Lazer, Porter Robinson, Audien, Carnage, Knife Party, and JAUZ. I arrived in the early evening to catch part of Felix Jaehn’s set at Troubadour Stage before making my way over to the Ambassador Stage to catch Lindsey Stirling’s highly anticipated set. The crowd for this set was passionately awaiting her arrival, and she did not disappoint during the short time I was able to be in the photo pit! 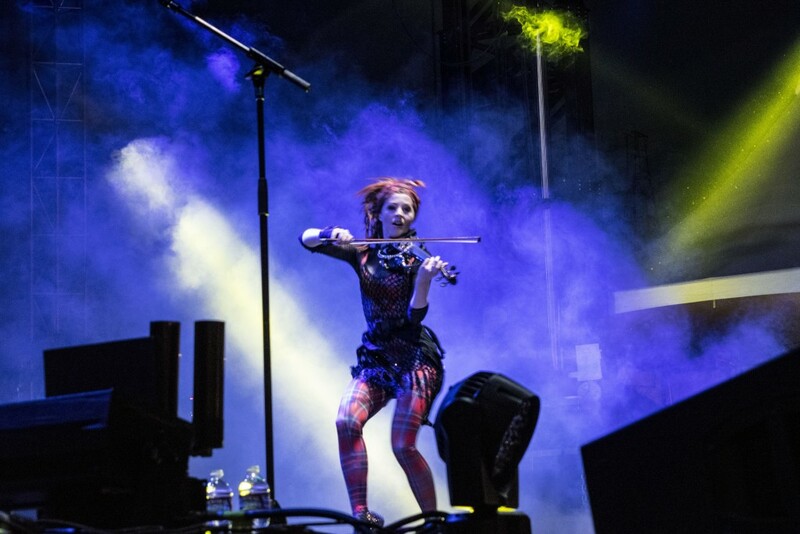 After leaving Lindsey Stirling’s set I chose to walk around the festival a bit to get an idea of the layout and where everything was. I checked in at the media lounge, which was a godsend in the triple digit temperatures we had during all 3 days of the festival, before heading off to see the last few minutes of Klingande. They did not disappoint and had the crowd vibing the entire time! As night one was packed to the finish with EDM, I chose to take a break and check out one of the many food trucks on site at Life Is Beautiful, choosing to indulge in Stripchezze, a local grilled cheese truck. I was not disappointed as I tried one of their specialties, the “Jam On It”, which I thought was quite appropriate given that I was at a music festival listening to artists “jam” and play awesome music. The sandwich was delicious and I highly recommend checking them out if you find yourself craving grilled cheese on your next Vegas trip! 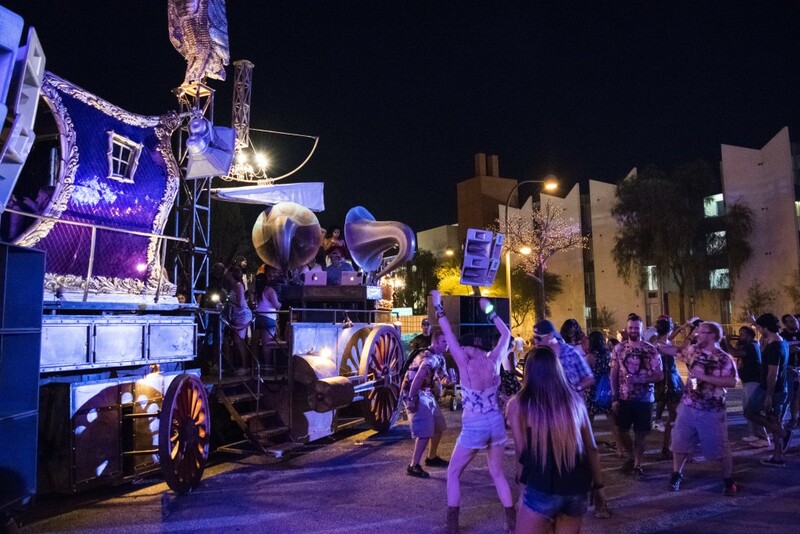 After fueling up, I walked around the festival, checking out some of the art installations and saw both of the Insomniac curated art cars, the Boombox ArtCar and the WideAwake ArtCar, with DJs spinning and small crowds vibing. I stopped by a small tent only to find out that Walshy Fire from Major Lazer was spinning a special set. He was just finishing up and I had the opportunity to say hello and meet him, which was awesome! I then made my way back to the Troubadour stage to check out Claude Vonstroke’s set, who I was so excited to finally see. After seeing him I can honestly say he was one of my favorite sets of the festival, as he brought that classic DirtyBird sound and his music just exudes that chill-out vibe that I love. Having him followed by Robin Schulz at Troubadour was one of the best decisions the promoters made during the weekend. Before I could see Robin Schulz though, I had to go back to Ambassador Stage to catch one of the night one highlights, Major Lazer. The Ambassador Stage was absolutely packed and it was obvious that many people wanted to see them and hear their chart-topping summer hit “Lean On”. I was lucky enough to get to their set and get a few photos before having to exit the photo pit. Finally, it was back to Troubadour to listen to Robin Schulz put the final touches on his set and then prepare for my first Porter Robinson “Worlds Live” experience. I’ve seen Porter play a DJ set before in Vegas, but not until now had I been able to see his famous live set. It was everything I had expected and more, and while I was not nearly as overwhelmed as I expected to be, I still enjoyed his set extremely and found myself singing along and immersing myself in the music. I noticed how many people in the crowd were so overwhelmed with emotion and love for his music, and the entire crowd just exuded amazing vibes, capping off an amazing night one at what was turning out to be an amazing festival. 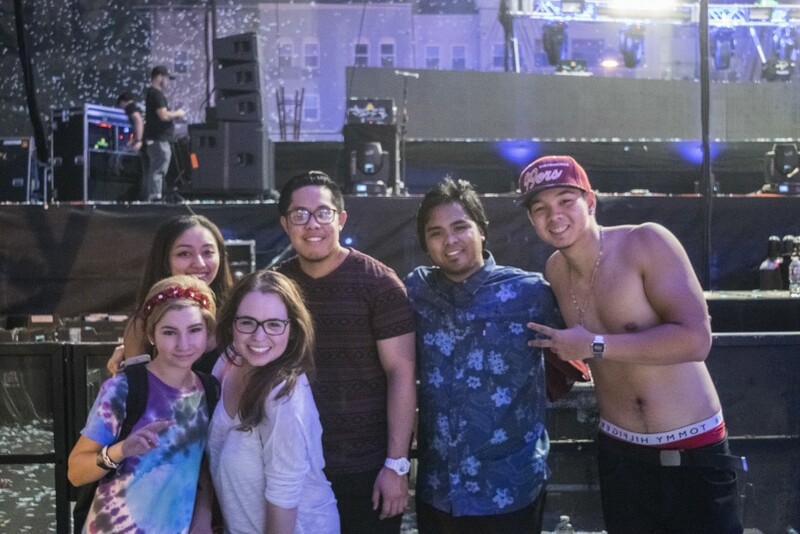 During Porter’s set I had the pleasure of standing near a group of passionate Porter fans who I also took a photo of after their set. The love shown by this group and many other groups during Porter’s set was amazing, as I was trying to take photos throughout his set and due to some first night miscommunication, was unable to be in the photo pit for his performance. This group of people had my back and made sure no one was going to push me while I took photos, and I made sure that they were protected from anyone as well. 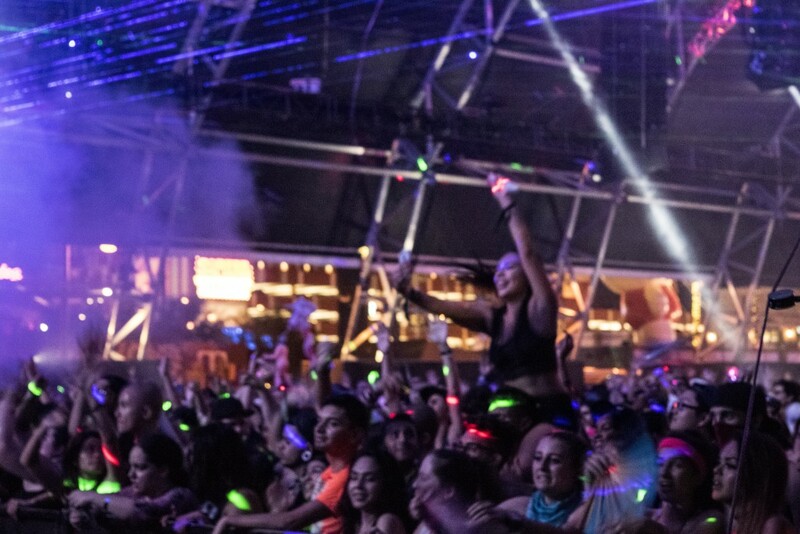 A very PLUR experience as well as just being full of positive vibes! Hope you all enjoyed the festival and Porter’s set as much as I did. Day 2 began a little later as I did not arrive to the festival till later in the evening, managing to catch JAUZ as my first set of the night. This was highly anticipated for me personally as I had heard that JAUZ throws down. He did not disappoint at all, playing tons of new music as well as a recent collaboration between him and Knife Party, who would end up closing out Day 3! After JAUZ was What So Not, formerly the collaboration between Emoh Instead and Flume. I enjoyed parts of this set but found myself longing for the days when Flume and Emoh Instead were collaborating on this project. It was a good set overall and I enjoyed when their collaboration tracks were played but it was not one of my favorite sets overall! That being said, Emoh did a great job and managed to keep the crowd dancing. I was looking forward to the rest of the night as one of my all time favorites Audien was next up on the Troubadour Stage. 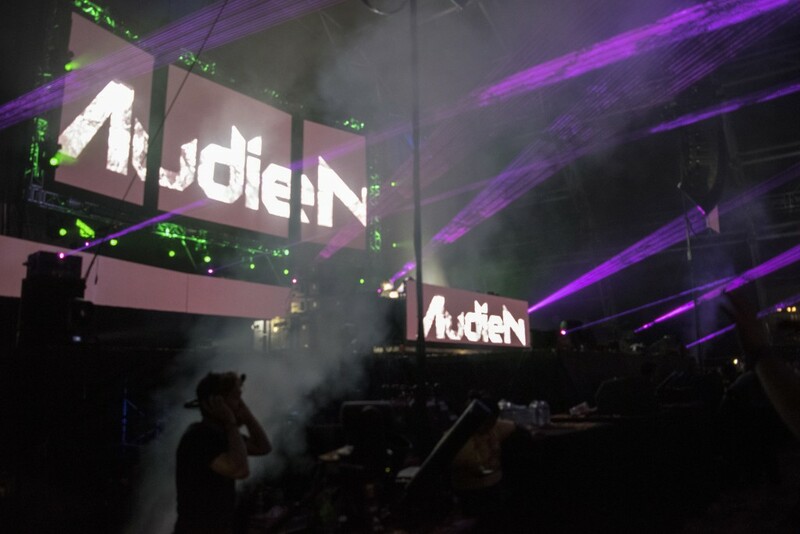 One of my favorite things about Audien other than his original music is the fact that his sets are always so diverse and he shows no limitations on genres, dropping everything from trance, house to trap and even hardstyle in his sets. Audien did not disappoint, as he played most of the tracks from his new EP, Daydreams, as well as playing a great mix of everything else. This was one of my favorite sets to watch the crowd and see the reactions of people because Audien dropped so many great tracks. He had people singing along to his Sun & Moon Wayfarer mashup, going nuts when he dropped a remix of Lean On by Major Lazer, getting the feels when he dropped Arty’s remix of Above & Beyond’s Peace of Mind and absolutely raging when he dropped the Headhunterz remix of Another You. 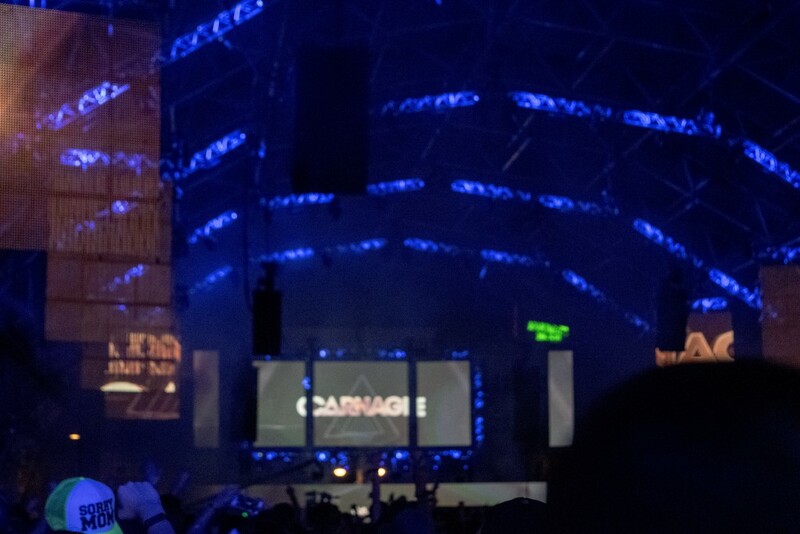 Finishing off the night was Carnage, who is known for his wild, party-like atmosphere during his sets. It was evident he was a big draw, even being up against Imagine Dragons on the mainstage. Carnage played through his hits and dropped some trap remixes of classic songs, all the while integrating a mix of hardstyle, trap, dubstep and more into his set. I was not able to stay for the entire set, as I needed to be back early on Day 3 to prepare for my interview with Peking Duk, as well as make sure to finish off the festival with a bang. I arrived mid-afternoon to day 3, having a bit of time before I had my interview with Peking Duk. I decided to check out some of Lassi’s set at the Troubadour Stage. Coincidentally, I ended up meeting Lassi while backstage for my interview, which was really cool. He is an up and coming producer and DJ out of Los Angeles who I highly recommend checking out and keeping an eye on! 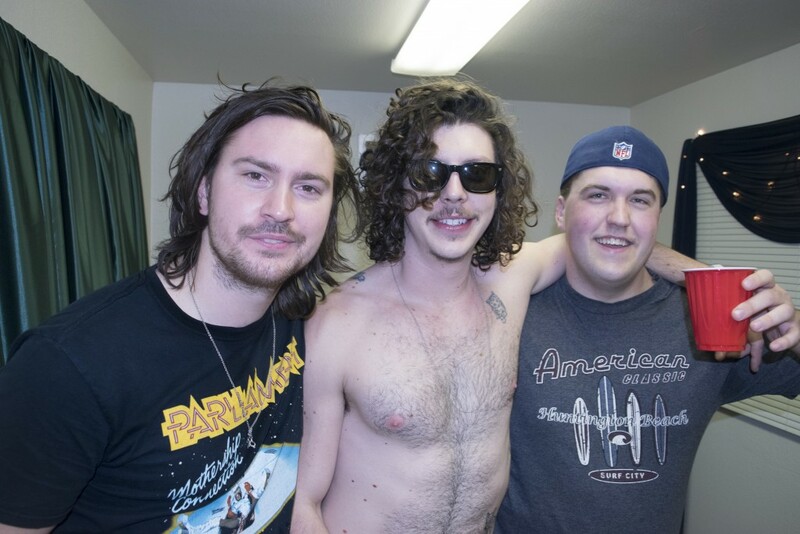 Finally, it was time to meet up with my contact and interview the boys from Peking Duk. I ended up getting to go backstage behind Troubadour, where their trailer was located. All I can say is what a fun experience! 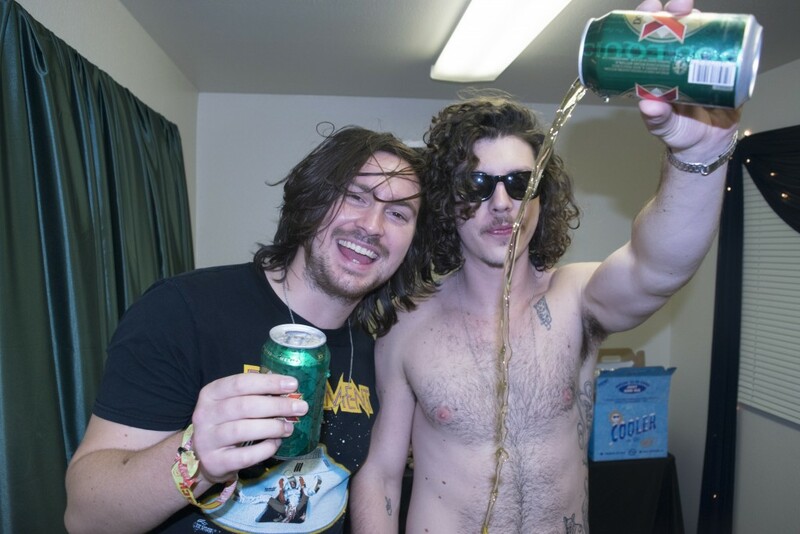 If you don’t know, Peking Duk hails from Australia, consisting of Adam Hyde and Reuben Styles. They sat down with me and we talked about a variety of subjects, including upcoming music, life and how the DJ life was treating them. 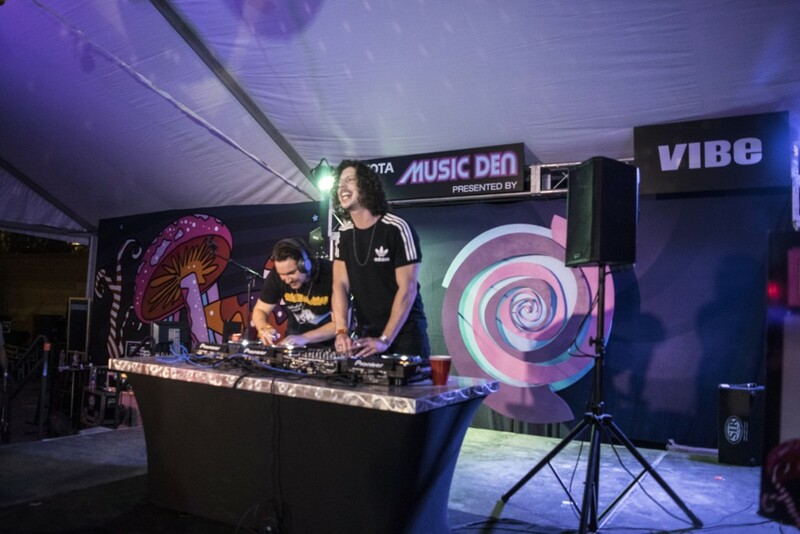 They even mentioned how in the future Peking Duk will be shifting away from a DJ set style to more of a live set style, which piqued my interest and makes me extremely excited for the future of these two as a duo. Adam and Reuben were absolutely awesome to interview and I can’t thank them enough for taking the time to do so. They were great hosts and we all enjoyed chatting and having a few drinks together! They even invited me to stick around backstage while they were on stage for their set at Troubadour. I managed to listen to their set and they were keeping the crowd energized and dancing. I was really impressed that they were not afraid to venture away from mainstay EDM tracks and drop some other stuff. Adam, Reuben and I just before they took the stage for their set. After their set we all hung out backstage and I got the opportunity to meet Lassi plus a few friends of Peking Duk. This is actually where I first met Joey (Hoody Time, check out the article on his debut release here). Peking Duk was schedule to play a small set at the Music Den, where I had met Walshy Fire on Day 1 of the festival, so we all loaded up on golf carts and headed over to that tent to see them play. Let me just say, their set at the Music Den was unbelievably awesome. They dropped a ton of old school hip hop and rap classics including Jay-Z and Run DMC which was amazing! They surprised a lot of people and had a pretty nice crowd for the duration of their 20 minute set! After finally going our separate ways, it was on to finish off the rest of the festival. 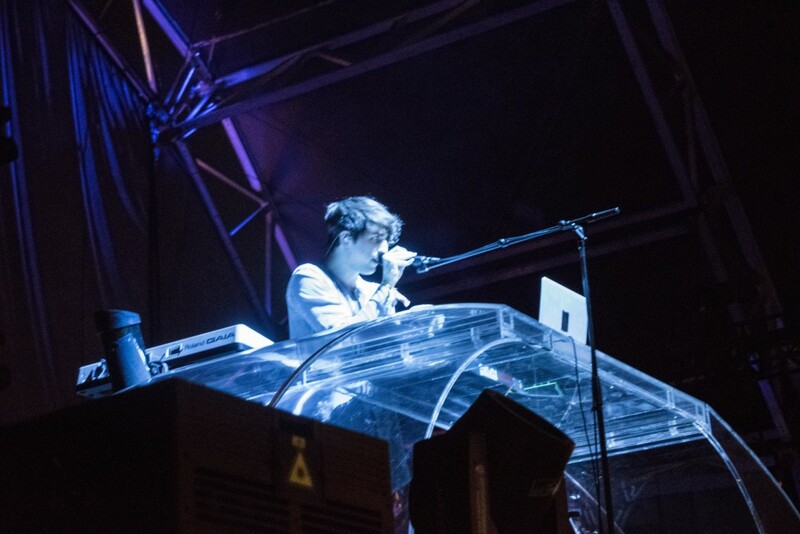 I managed to catch parts of Kygo and Madeon, who were both playing at the same time on the Ambassador and Troubadour stages. I was impressed with the amount of people who were at Madeon’s set, considering that Kygo and Weezer were both playing at the same time. Getting to hear Madeon play his remix of deadmau5’s Raise Your Weapon was pretty amazing as deadmau5 is one of my favorite producers. I also enjoyed seeing Kygo as the vibes during his set were really relaxed and people were enjoying dancing and vibing to his tropical house. Knife Party was the final set at the Troubadour stage for Life Is Beautiful, and I was so pumped for this set as Knife Party is another one of my favorites. For being the final act to play the Troubadour stage, there was no lack of energy from the crowd, and you could clearly see why Knife Party has a massive and passionate following of fans. 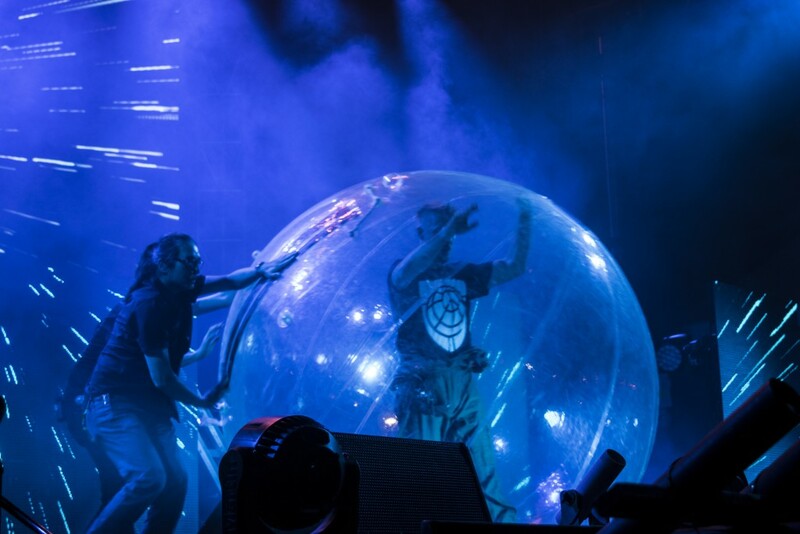 Playing many of their hits including LRAD, Internet Friends, Antidote and more, they truly closed out what was an amazing weekend of music, art, culinary and learning at the Life is Beautiful Festival in Las Vegas. Life truly was beautiful this weekend. Overall the crowds and amazing vibes really showed through. While I tried to cover the festival from an EDM perspective, walking around downtown Las Vegas and the festival grounds really showed me how passionate everyone was for this festival, whether it be the music, food, learning series, culinary demos, trying the amazing and endless options for food, and more. Music really does unite people and I really look forward to hearing what Life Is Beautiful and Insomniac will have in store for the 2016 version of this amazing festival!